Charlotte Hart, a distinguished journalist, is spending time with her family over the holidays when a real estate developer approaches their small town with quite an offer. Skeptical and looking for the real scoop, Charlotte drives to see the real estate head honcho to question him. While she’s en route, she gets into a terrible car accident and wakes up in the hospital only to realize that her body is in a coma, but her spirit is very much awake. She meets another spirit, who just happens to be the greedy developer. It turns out that he was on the other end of the accident, and he too is in a coma. With only a few days left before the town votes on the development, Charlotte must try to change the minds of the developer and the town, but that is no easy task when no one can see or hear her. I love this movie! It is so heartwarming and funny. I also like the message where people should not only have the Christmas spirit during the holidays but also every day. I wish there was a sequel! This is a heart warming movie. I will watch this one again. Hoping for a sequel. I loved, loved this movie. Wish I could watch it again. 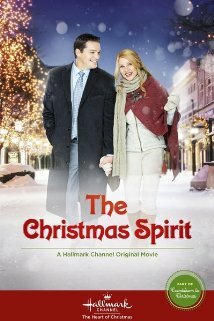 Very sweet and nice Christmas movie. This one was okay- I think I like them better with not so known actors and actresses. Nicolette’s hair in her face the whole movie was distracting to me. The whole spirit idea was really good though!